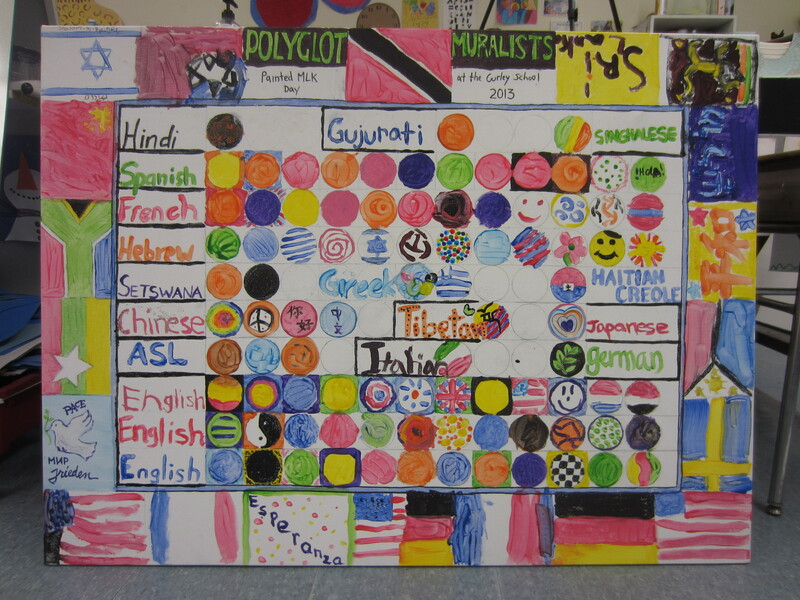 After finding a strong lack of artistic examples of data presentation, we decided to make some Data Murals of our own! 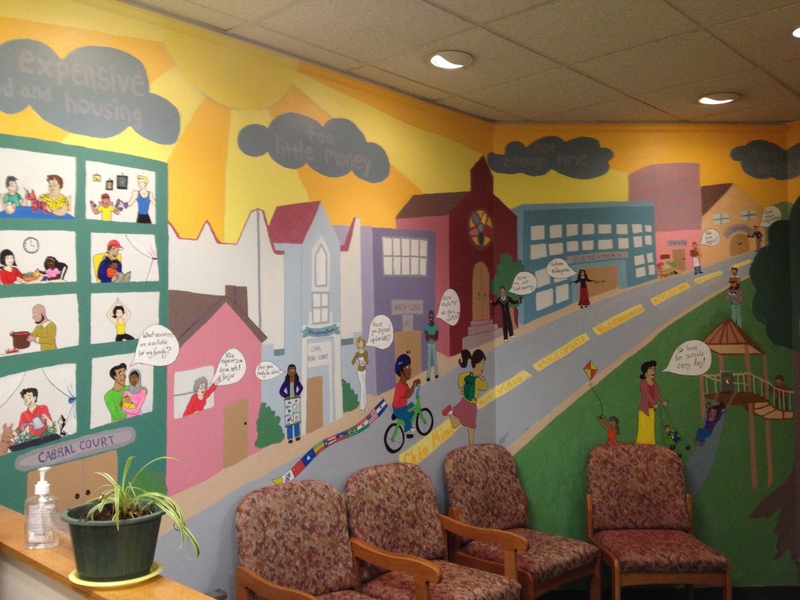 We help a group find a story in their data, collaboratively crete a visual design that tells the story, and then paint it as a community mural. 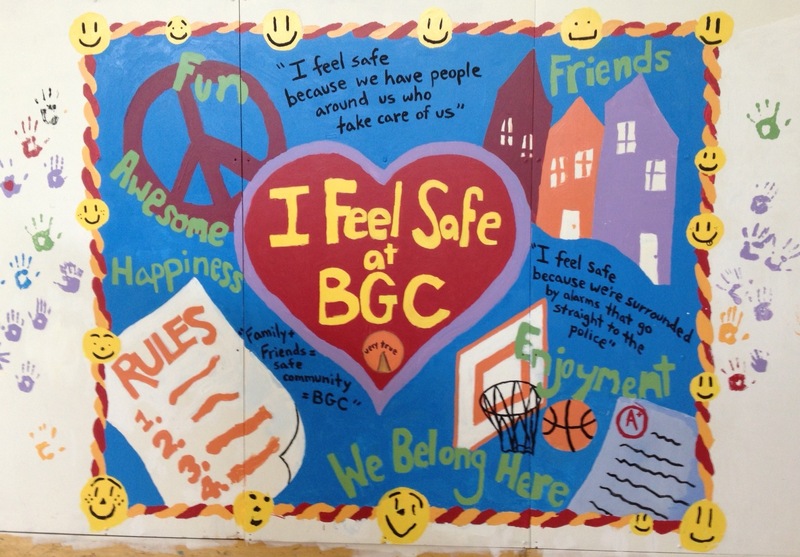 Read some more about creating your own data mural. 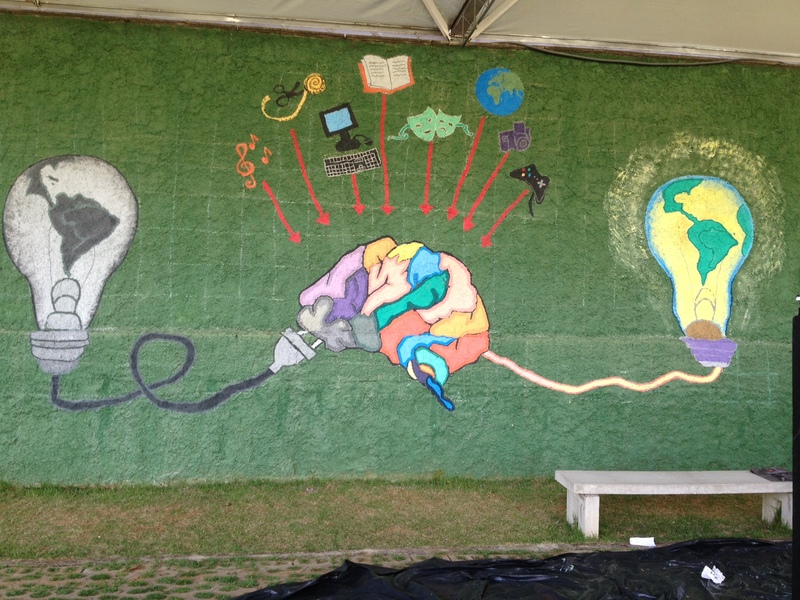 📰 Read our new academic case study about the mural we did in Brazil! 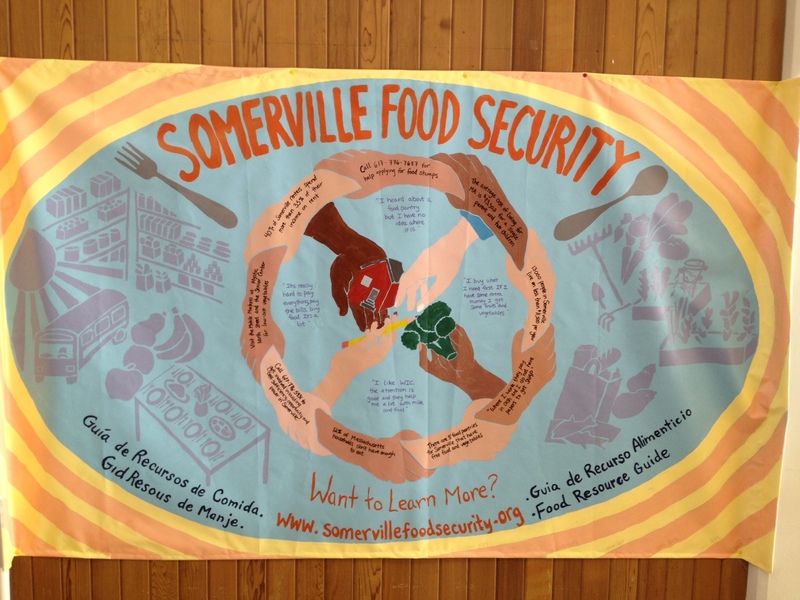 Created by the Somerville Food Security Coalition (November 2013). Look at the handout for more details about what each visual element represents.